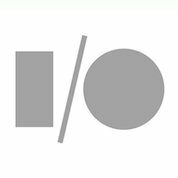 At this year's Google I/O, the company behind the search engine with the most o's promised attendees not one, but two Android Wear devices. The first was either an LG G Watch or a Samsung Gear Live. The second, a Moto 360. We haven't heard much about the latter since then, but emails are now going out. The time has come for I/O goers to check their inboxes. 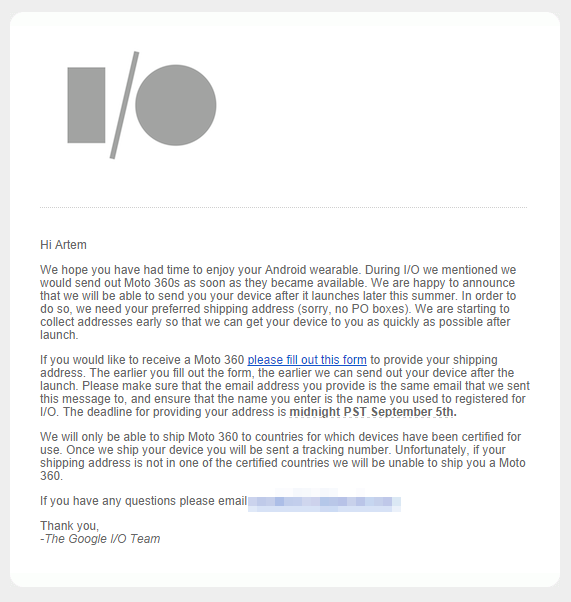 The email instructs people who would like a Moto 360 to fill out the requisite form (seriously, who doesn't want one)? Those who do will receive the watch once it launches. The message says that the device is due out later this summer, but it doesn't explicitly state anything more specific than that. It does, however, say that the deadline to provide an address is midnight PST on September 5th, which lines up pretty well with the day Motorola is expected to reveal the Moto 360. Get excited, folks.